Located in the heart of the South Downs National Park, we are a venue of destination serving locally sourced, seasonal food in a wonderful, welcoming setting. 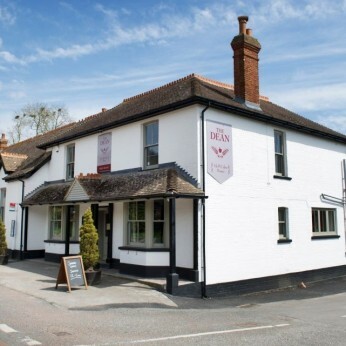 Located in the village of West Dean, The Dean Inn is the heart of the village and has been for the last 200 years. It is a perfect place to eat, drink and sleep. We enjoy an enviable location in the River Lavant valley, ideal for walking, cycling, visiting local landmarks and relaxing. The famous Goodwood Estate is just 10 minutes away as is historic town of Chichester with its beautiful church, Festival Theatre and shopping. We're really sorry but we don’t seem to have any offers or events for Dean Inn. We're sure there must be something happening here but they just haven't told us about it! Please do mention this to Dean Inn when you next visit them.